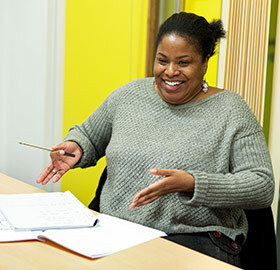 We deliver ESOL classes at Idea Stores and learning centres across the borough from Pre-Entry to Level 2. 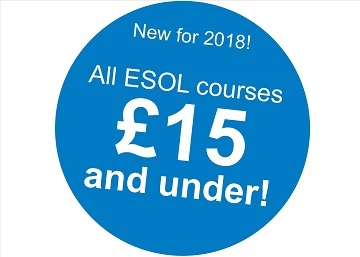 Some of our ESOL classes lead to qualifications and spaces on these are very limited. Priority is given to learners who are actively looking for work or looking to progress to further studies. Need to know more about computers, the Internet or email? Enrol onto one of our friendly and supportive IT for Beginners or IT for ESOL classes. We also offer nationally recognised qualifications in IT including Digital Skills (Entry Level 3) and ECDL (Levels 1 and 2). Our Functional Skills Maths and English courses are accredited. On these courses, you will take an exam at the end of the course and if successful you will gain a Level 1 or 2 Functional Skills qualification. We also offer non-accredited programmes including English Writing Skills and Literacy for Beginners. • We will invite you to an ESOL initial assessment session. We offer a range of courses for ESOL, English, Maths and IT which can help you on your path to employment. Before you can join one of our classes, you must attend an assessment and enrolment session. Our main assessment sessions for ESOL, English, Maths and IT take place in September 2018. 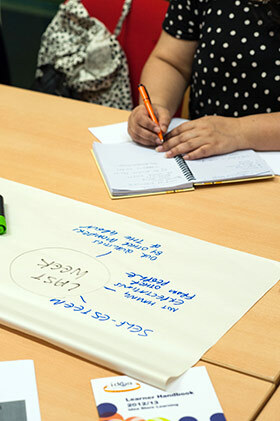 We run more enrolment and assessment sessions across the borough in January and April. For assessment dates please see our flyer. At assessment we will guide you onto the right class through a one-to-one interview with a specialist teacher. Your skills will be tested and we will discuss your needs and availability. Once we have agreed a suitable class for you, you will need to enrol and pay any fees that are due as soon as possible. You will not have a confirmed place in the class until you have enrolled. Please note that due to high demand for our classes, we cannot guarantee a place for every learner. For more information about our courses, please see pages 12-19 of our course guide.